I'm planning a four-hour women's self-defense intensive workshop for this summer (2016), in El Cerrito, CA. Date is to be determined, based on available time in the dojo where I teach. The curriculum will include basic strikes, kicks, and blocks, and defenses from common attacks. We will practice, practice, practice. Interested? Drop me a note at sensei@opendoorjujitsu.com - and spread the word to any interested women. Suitable for age 16 and up. 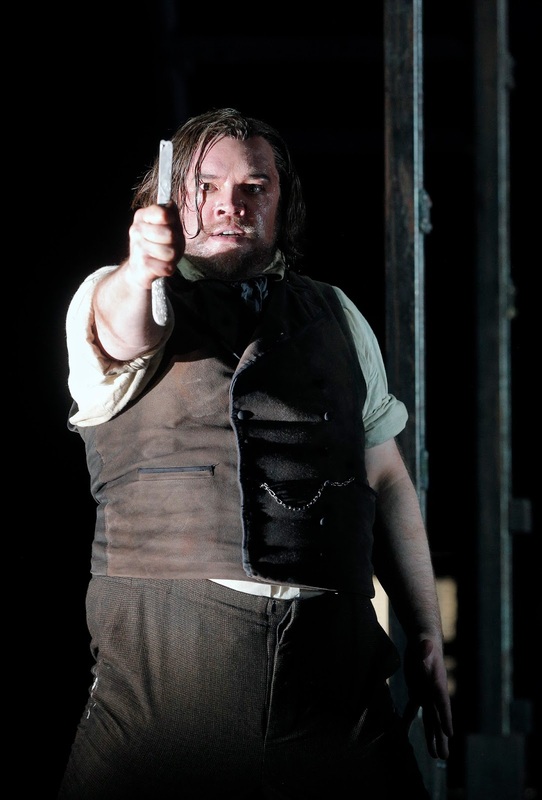 Full review in process for SFCV, and I should have posted this earlier, but I highly recommend Opera Parallele's production of The Lighthouse, a gripping 90-minutes opera by the late Peter Maxwell Davies. 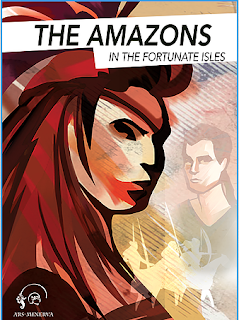 There are two performances left, tonight at 8 p.m. and tomorrow at 2 p.m., at Z Space in San Francisco. This model is unlikely to survive having an extremely charismatic president who can haul in the big bucks. As a matter of governance, the board should be concerned for the survival of Bard post-Botstein. Italian tenor Anile made a surprise Met debut during Saturday afternoon’s internationally broadcast performance of Otello, when Antonenko’s illness forced him to withdraw just before the final scene of the opera. The performance continued uninterrupted, with Anile singing the role from the wings while Antonenko acted it onstage. Tonight will be Anile’s first complete Met performance of the role. Tonight’s performance of Otello is conducted by Adam Fischer and also stars Hibla Gerzmava as Desdemona, Alexey Dolgov as Cassio, Željko Lučić as Iago, and James Morris as Lodovico. Die Fledermaus: Johann Strauss Jr.
Production underwritten by a generous gift from Bob and Ellen Vladem. A new Santa Fe Opera production adapted from the 2012 Opera Bordeaux staging. A company premiere. Must find a week when all of these are being done! ....at both the Royal Opera House (fall, 2016) and Met (fall, 2017 - opening night, in fact). That's two, two, two cast changes in one! Esa-Pekka Salonen will conduct the spring, 2017, Met Orchestra programs at Carnegie Hall, substituting for James Levine, who has withdrawn. The June 3, 2017 program will now include Schumann’s Symphony No. 3 in E Flat, “Rhenish,” along with, as previously announced, Brahms’s Piano Concerto No. 1 in D Minor featuring soloist Maurizio Pollini. The June 6, 2017 all-Sibelius concert will now include Symphony No. 6 and Symphony No. 7 in C, along with the previously announced Violin Concerto in D Minor featuring soloist Christian Tetzlaff. The concert on May 31, 2017 will be, as previously announced, an all-Mahler program featuring soloists Susan Graham and Matthew Polenzani in lieder from Des Knaben Wunderhorn, and a performance of Symphony No. 1. Yes, I might be thinking of a week in NYC for this. Remember Ars Minerva, which presented the beautiful (and funny!) La Cleopatra last year around this time? They're back! 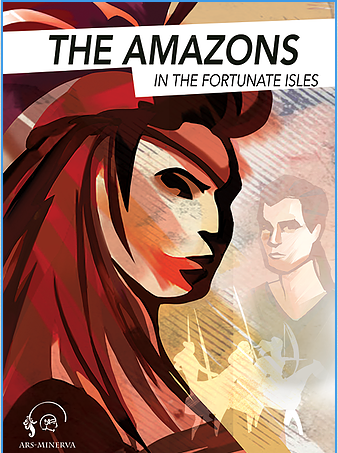 And this year, they are producing Carlo Pallavicino's The Amazons in the Fortunate Isles. Once again, they're performing in the small Marines Memorial Theater on Sutter Street in SF. Once again, they've got a great cast and orchestra. Once gain, don't miss it! Saturday, May 21, 2016, 7:30 p.m.
Sunday, May 22, 2016, 2 p.m.
Marines Memorial Theater, 609 Sutter St. This summer, San Francisco Opera will be presenting Janacek's great opera Jenufa, with Jiri Belohlavek conducting and with the magnificent Karita Mattila as Kostelnicka. I've been encouraging everyone I know to go see it, and also telling them: don't read the plot synopsis. You only get to see it the first time once. [Joshua's notes:  The one point that got squeezed out of my version [of the family tree] is that Laca is Widow Klemen's son from her first marriage. Steva is Grandmother's real grandson. 2. Jenufa loves Steva. Note that they are first cousins: their fathers were brothers. 3. Laca loves Jenufa. They are not related by blood. David Robertson, music director of the St. Louis Symphony Orchestra, will conduct the May 22 all-Richard Strauss program, which will feature Renee Fleming. Sebastian Weigle will conduct Der Rosenkavalier, which is likely to be Fleming's last Met appearance. Johan Botha has withdrawn from the May 26 Met Orchestra program on account of illness. Stefan Vinke will sing instead. 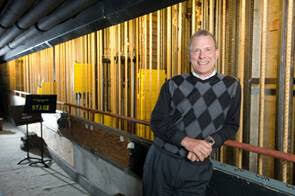 Levine will still be conducting this program, which also features Christine Goerke. Yes, there will be some Wagner on the program. The Strauss program on May 22 has changed. " The program will now include Don Juan and Also Sprach Zarathustra, replacing the previously announced Suite from Le Bourgeois Gentilhomme and Till Eulenspiegels Lustige Streiche," says the press release. 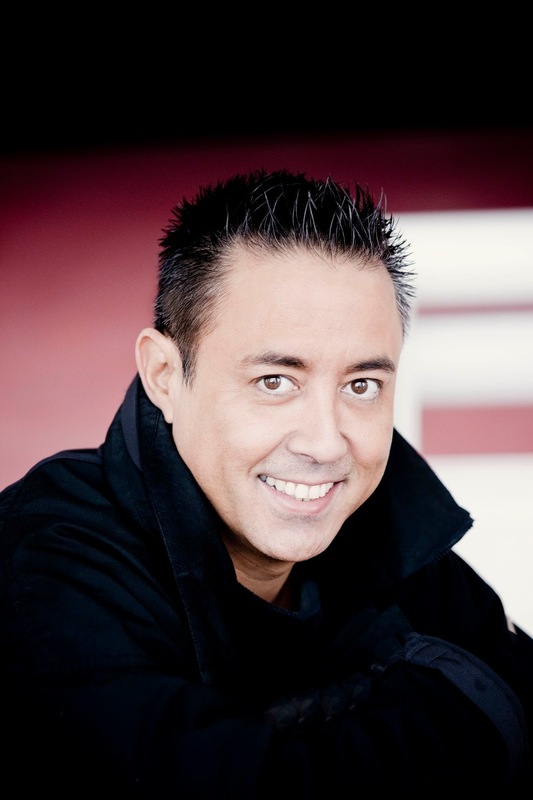 Tremendously sorry to hear today of the much-too-soon death of countertenor Brian Asawa at 49, following a long illness. He was a graduate of both the Merola and Adler programs at San Francisco Opera and sang all over the world. I saw him at San Francisco Opera in A Midsummer Night's Dream (Oberon), The Rake's Progress (Baba the Turk), and Semele (Athamas). He was a fine singer with a beautiful voice. RIP, Brian Asawa. You will be missed. UPDATE: A fine Margalit Fox obit in the NY Times. Cause of death given as heart failure following a long illness. 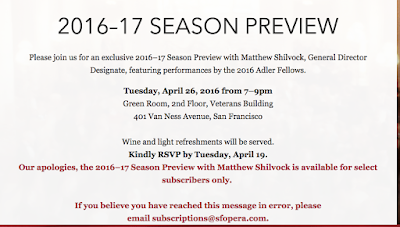 A while ago I had received, and ignored, an invitation to a preview talk by General Director Designate Matthew Shilvock about the San Francisco Opera's 2016-17 season. This morning, I received a request to RSVP by tomorrow. So I clicked the link and logged in, intending to say that I can't come, because one should RSVP regardless of whether you can attend an event to which you're invited. Ooopsie! Had SFO somehow sent me an invitation to an event I wasn't really invited to? Surely not. How you can tell that I'm okay following my mom's death: blogging resumed with a vengeance, and I'm back to reviewing for SFCV. Here's my first of the year - the first in about six months, in fact - a review of Stile Antico. They were great, and I'd love to hear them again. I was entirely serious about the number of concerts they could get from this concept. I hope they'll record some of the lesser-known cantus firmus and parody masses based on secular tunes. I Worry for His Mind. It's as though Brian Mulligan was FATED to spend AN ENTIRE YEAR singing the role of SOME CRAZY GUY! 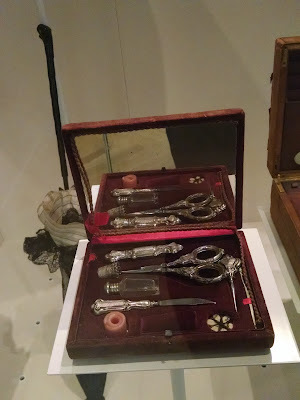 Must I HIDE THE KNIVES if I invite him over for dinner??? The Beeb released the Proms schedule the other day. It's not what I'd call coherent; there are many interesting programs but no themes that I can discern. I am not going to take the time just now to list the most attractive concerts; take a look and then make up your own fantasy schedule! 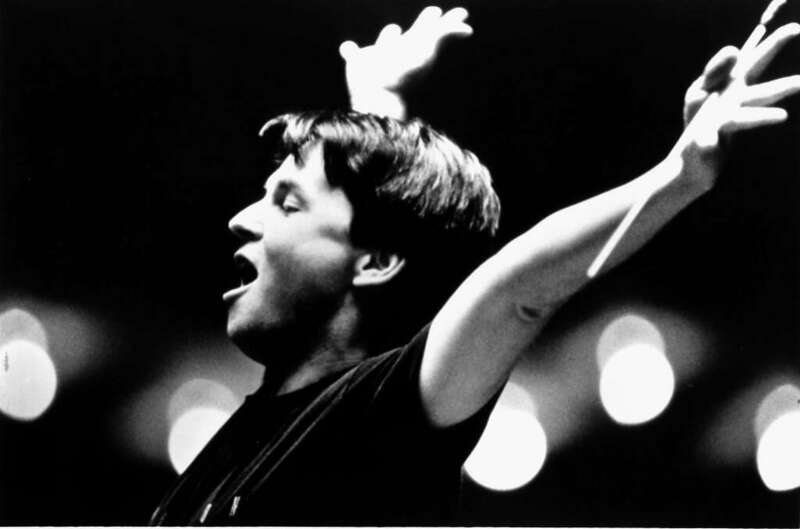 Between the announcement of Alan Gilbert's departure from the NYPO and the somewhat surprising appointment of Jaap van Zweden as his successor, the favorite candidate of almost everyone in NY was Esa-Pekka Salonen, the orchestra's composer in residence. And you can can hardly blame them for it, given that Salonen is a great conductor and composer, charismatic, and photogenic, with a long and hugely successful tenure at the LAPO behind him. Now there's a new leadership opportunity in NY, and once again Anthony Tommasini, in his review of the Chereau Elektra, floats Salonen as a successor to James Levine. Tony, give up. Salonen has made it perfectly clear that he is not interested in this kind of position. 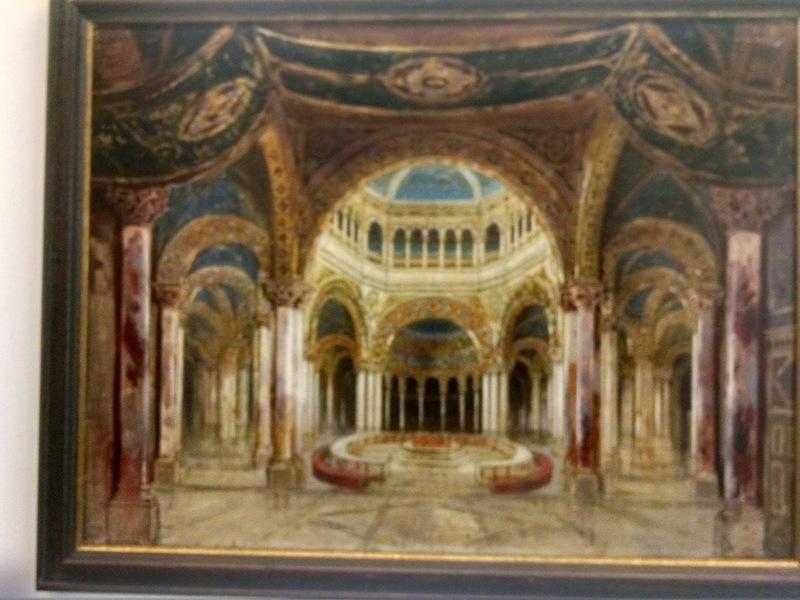 He has already been through building a concert hall, with Ernest Fleischmann as the executive; the Met is going to need major renovations in the next few years, and Peter Gelb is no Fleischmann. The Met has enormous financial problems, and Salonen does not want to be a US-style music director who gives a huge amount of time to glad-handing, fund-raising, and administration. Peter Gelb should certainly go out of his way to engage Salonen on a regular basis as a guest conductor; in fact, he should commission an opera from Salonen. And while I'm giving advice to the Met, while I think there is no way he would be offered the top job, there's another available conductor I can think of who is a top-notch champion of new and recent music and who should be engaged immediately for future appearances: Alan Gilbert. This season the company sometimes had to resort to extraordinary measures during performances conducted by Mr. Levine — with the orchestra looking to the concertmaster for guidance; singers looking at the prompter’s box; and the chorus being led by Donald Palumbo, the chorus master, from the wings. In other words, Levine has been allowed extraordinary professional lapses that would never be tolerated from anyone else, and the Met - as they signaled very clearly earlier this year - decided this was intolerable. Update: Anne Midgette pulls no punches in covering the issue. I divide responsibility about equally between Levine's inability to call it a day on his own and the Met board and management's inability to look out for the institution by saying Genug. New York, NY (April 14, 2016) – Maestro James Levine, the Met’s Music Director since 1976, announced that after 40 years in the position, he will retire at the end of the current season, for health reasons. At that time, he will assume the new position of Music Director Emeritus. 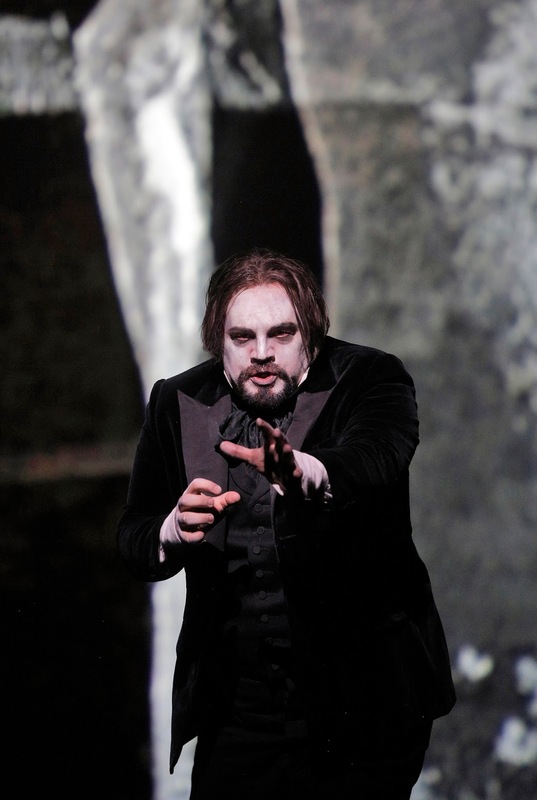 In this role, he will continue as the artistic leader of the Met’s Lindemann Young Artist Development Program, a training program for operatic talent he began in 1980, and will continue to conduct some Met performances. Next season, he will withdraw from the new production of Strauss’s Der Rosenkavalier, but plans to lead revivals of Rossini’s L’Italiana in Algeri, Verdi’s Nabucco and Mozart’s Idomeneo—three works he has led more than any other conductor in Met history. He intends to conduct his remaining performances for the current Met season, which include the current run of Verdi’s Simon Boccanegra and a five-performance revival of Mozart’s Die Entführung aus dem Seraillater this month, as well as the May 19 and 26 MET Orchestra concerts at Carnegie Hall. He will not conduct the MET Orchestra at Carnegie Hall on May 22. Replacement conductors for this season’s May 22 Carnegie Hall concert, and for the remainder of Mo. Levine’s 2016-17 engagements—the new production of Der Rosenkavalier, and three May 2017 MET Orchestra Carnegie Hall concerts—will be announced in the coming days. A plan is in place to appoint a new Music Director for the Met, who will be announced in the coming months. As Mo. Levine transitions to his new role at the Met, John Fisher, currently Director of Music Administration, has been promoted to Assistant General Manager, Music Administration, effective immediately. Fisher’s duties include overseeing the Met’s staff conductors, rehearsal pianists, and prompters; coaching principal singers; and working with Mo. Levine and the conductors for each Met performance to prepare and maintain the highest level of musical quality. A tireless champion of new works and neglected masterpieces, Levine expanded the company’s repertory by leading the first-ever staged Met performances of Berg’s Lulu; Gershwin’s Porgy and Bess; Rossini’s La Cenerentola; Verdi’s I Vespri Siciliani, Stiffelio, and I Lombardi; Mozart’s Idomeneo and La Clemenza di Tito; Schoenberg’s Erwartung and Moses und Aron; Weill’s Rise and Fall of the City of Mahagonny; Busoni’s Doktor Faust; and Berlioz’s Benvenuto Cellini, as well as the world premieres of John Corigliano’s The Ghosts of Versailles and John Harbison’s The Great Gatsby. As usual, the little orchestra that could has an exception season mixing new works with classics. They've got a very high percentage of new and commissioned music, plus a very tasty chamber music series. TICKETS: Tickets to the four-concert chamber music series Berkeley Symphony & Friends at the Piedmont Center for the Arts are $100 for four concerts, and are on sale Thursday, April 14 by phone at (510) 841-2800, ext. 1; by fax to (510) 841-5422; or in person or by mail at 1942 University Avenue, Suite 207, Berkeley, CA 94704. A series package of chamber music concert tickets can be purchased in advance at www.berkeleysymphony.orgbeginning June 1, 2016. Tickets for individual chamber music concerts are $25 and go on sale July 1. TICKETS: 2016-2017 season subscription packages for the four Berkeley Symphony Zellerbach Hall concerts are on sale now by phone at (510) 841-2800, ext. 1; by fax to (510) 841-5422; or in person or by mail at 1942 University Avenue, Suite 207, Berkeley, CA 94704. 2016-17 season subscription packages are available throughwww.berkeleysymphony.org beginning June 1, 2016. Prices for the four-concert series range from $42 to $266. Single ticket prices range from $10 (for students) to $74. TICKETS: All Family Concerts are offered free of charge (Suggested donation: $10 per adult). For more information or to request a brochure, call Berkeley Symphony at (510) 841-2800, ext. 1, emailtickets@berkeleysymphony.org or visit www.berkeleysymphony.org. 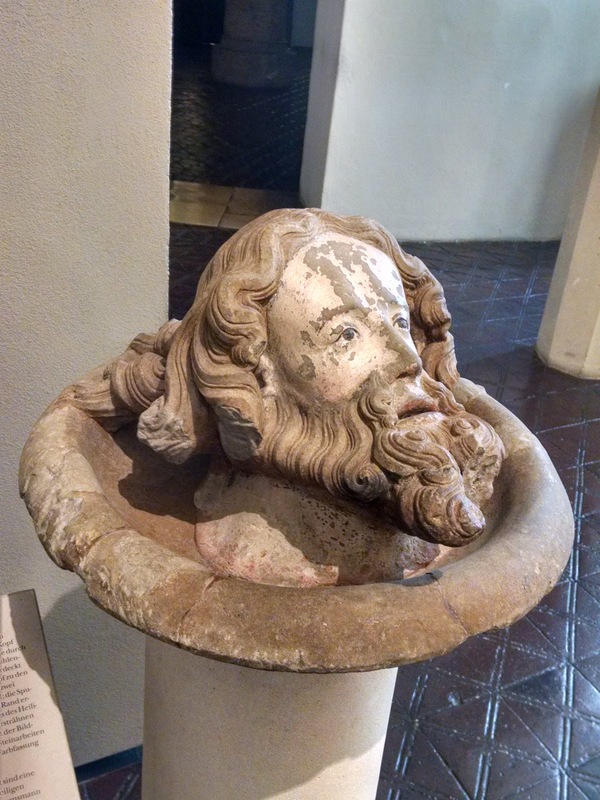 At the end of this post you'll find the schedule for this year's Ojai at Berkeley. It's only three performances, where Ojai at Ojai has a dozen or so - this is very unfortunate. The Berkeley set doesn't come close to reflecting what will be performed to the south. Tickets: $20. Ojai at Berkeley Festival Pass good for entry to all three performances $45. On sale Saturday, April 9 at 1pm. Tickets: The pre-performance talk is free to all ticketholders for the concert that evening. Community Response Panel chaired by Cal Performances associate director Rob Bailis. Tickets: The post-performance talk is free to all ticketholders for the concert that evening. 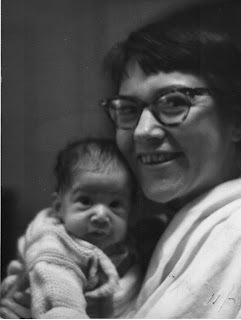 My mom, age 36, with me, age 8 days. 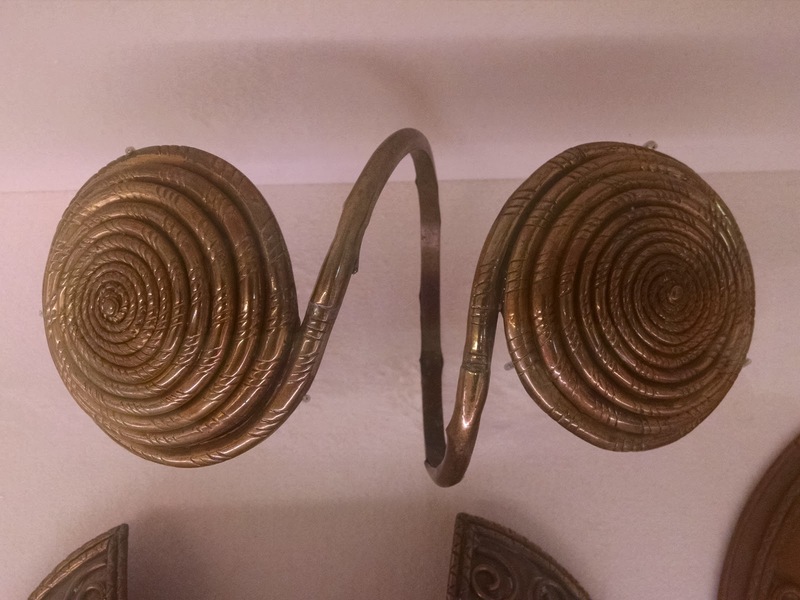 My mom, Naomi Hirsch, died around 7 a.m. on March 9, 2016, at an advanced age. She had been in declining health, as often happens with very old people, with noticeable larger or smaller steps in the decline. She died very peacefully, asleep or unconscious. She seems to have been comfortable and hadn't been in any pain. (We asked often.) Because she had lung tumors that were probably cancer, I'm grateful that she passed easily from this world and didn't go through the agony that can accompany death from lung cancer. I was lucky to have the parents I had. They were happy together and adored each other and me. 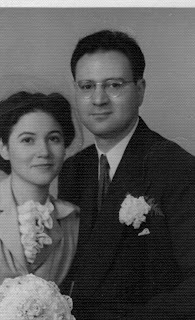 I was closer to my father, who died in 1979, and I think there were ways he understood me that my mom did not, but both of them always gave me unconditional love and support for whatever I tried to do. For that and so much else, I am eternally grateful. I'll miss her very much. Because You Can't Go Wrong With Beethoven. Ginastera’s Third Quartet (1973) features a soprano singing settings of Spanish poems that deal with longing, desire and the power of music to vanquish monstrous darkness. The soprano Keira Duffy brought rich sound and gripping expressivity to the performance. How can this stunning piece not have become a staple of the repertory? It's what Alex Ross has called "celebrity programming." See also: San Francisco Opera's 2016-17 season. 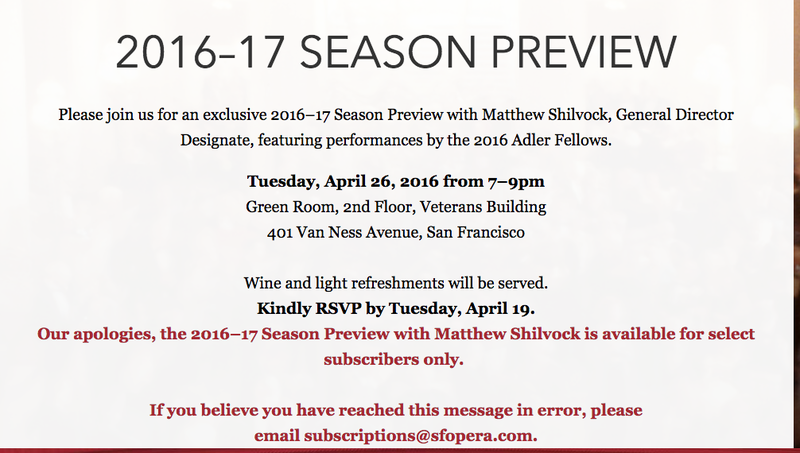 Well, Mr. Gockley's plans appear to have gone awry: I received a letter a couple of days ago from Matthew Shilvock, General Director Designate, offering additional subscription flexibility and more or less begging me to renew my San Francisco Opera subscription. I am about to mail a long letter politely saying no and describing my reasons. I am hearing stories of 20 and 30 year subscribers who decided against renewing. I'm seriously curious just how big a hit SFO is taking for this terrible decision. But that's what happens when you program a season that might have been designed to appeal to opera newcomers and Jan & Maria Manetti Shrem, major donors who donate in support of Italian opera. 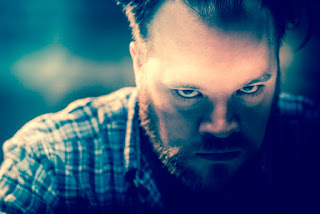 * People like me, who'd like to hear French, Russian, German, and English-language opera, and who think it's a very bad idea to program Madame Butterfly in alternate years, will walk away and spend our money hearing more interesting repertory. * I wonder whether they'd support a production of La donna senz'ombra....oh, probably not, even though Puccini did attend the first Italian production of the work.